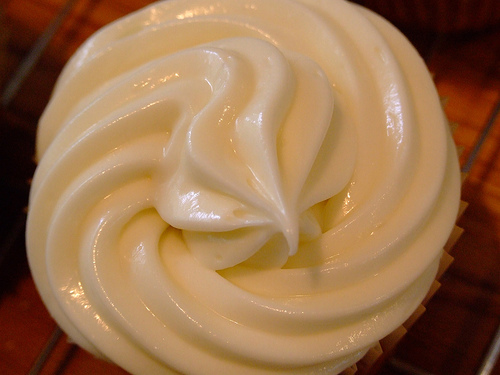 This cream cheese frosting recipe is simple to make at home. It's perfect with carrot cake and is great to make ahead for Holiday parties. Photo by Flickr user Gaetan Lee. The secret is to bring the cream cheese and butter to room temperature. It's really easy to skip this step, and I must confess, I've skipped it often. The result is flecks of butter in your frosting. It's much harder to mix when the ingredients are cold and the end result is not smooth and picturesque but still taste great. Although it is not safe to leave cream cheese out for extended periods of time it is OK to leave it out for an hour to two before mixing the frosting. After everything is warmed cream the butter and cream cheese together, add in the vanilla and last add in the powdered sugar. If you want your frosting sweeter add more powdered sugar. Freeze your frosting before or after frosting the cake. 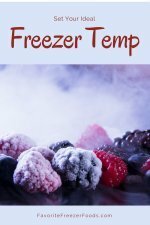 To freeze separately place into a plastic freezer bag and freeze flat. 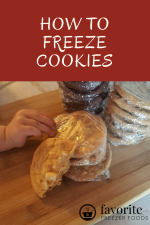 If your freezing items already frosted flash freeze the items so the frosting and cake are solid. Then wrap in plastic wrap and an outer layer of tin foil. Or freeze it in a freezer friendly container such as a tin foil or silicone pan and cover the top in tin foil. This will last up to 3 months in the freezer. This must be thawed in the fridge. Cream cheese is not safe left on the counter top, not while thawing and not on top of a cake. Thaw frozen frosting over night in the fridge and when thawed you can just cut off the tip of the bag and pipe the frosting out. To thaw iced cakes and cupcake remove any wrapping that are touching the icing. Cover the cake so the wrap is not touching, toothpicks work well and let the iced cake thaw overnight. Return from Cream Cheese Frosting to the homepage of Favorite Freezer Foods.